A rental agreement is a legal binding agreement between a tenant and an owner. It frames all the guidelines and conditions on the basis of which an owner offers his property for rent to tenant. A basic rental agreement includes all the necessary terms following which a tenant need to utilize the rented property. If you are an owner and want to rent your property then you need to frame a rental agreement. 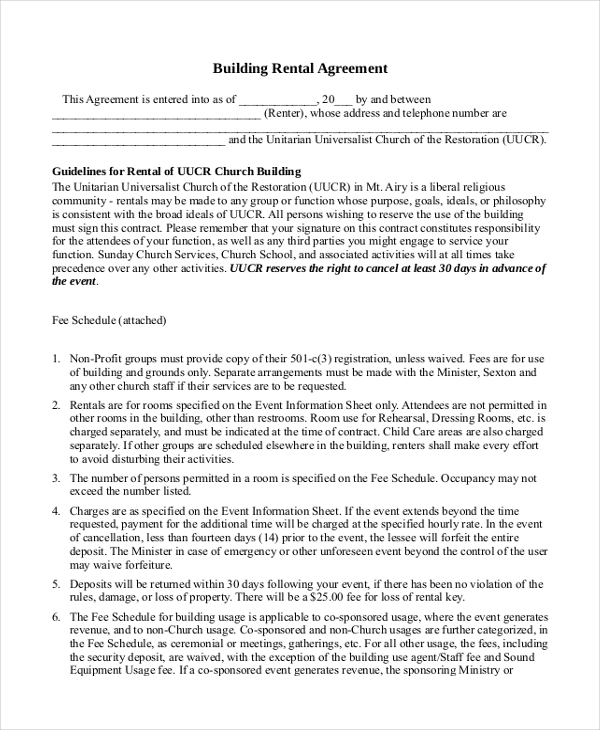 Here are some of the perfectly created Agreement Forms that you can utilize for convenience. This basic rental lease agreement can really help you create a suitable agreement for your rental property. You just need to customize it for adding your personalized property details and related information. 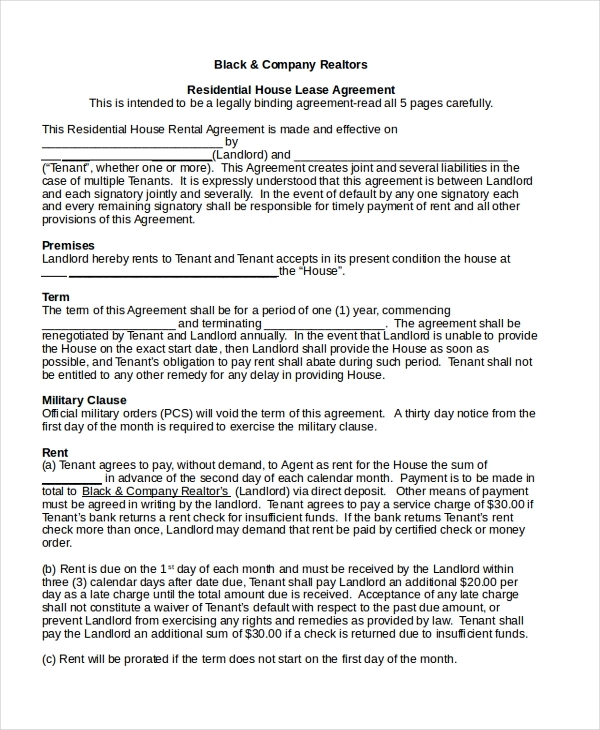 Here is another basic residential rental agreement created in PDF format to help you create a perfectly suited rental agreement for renting your property. This template will guide you for framing ideal rental terms. Want to offer your room on rent? 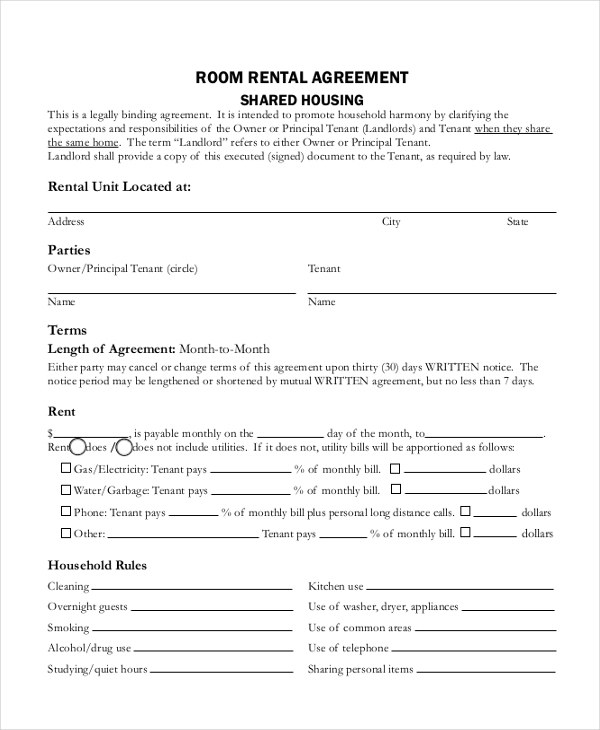 First, prepare a strong basic rental agreement document in order to lay down terms of renting the property using this basic room rental agreement sample available online for download. 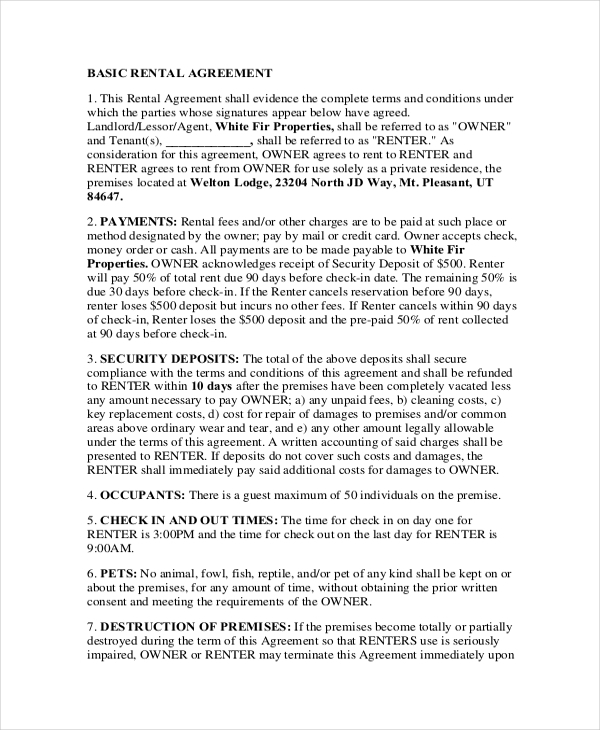 Here is another strong basic house rental agreement template available online that you can find helpful in creating a solid agreement for your rental deal with the tenant. Get downloaded online and start customizing. 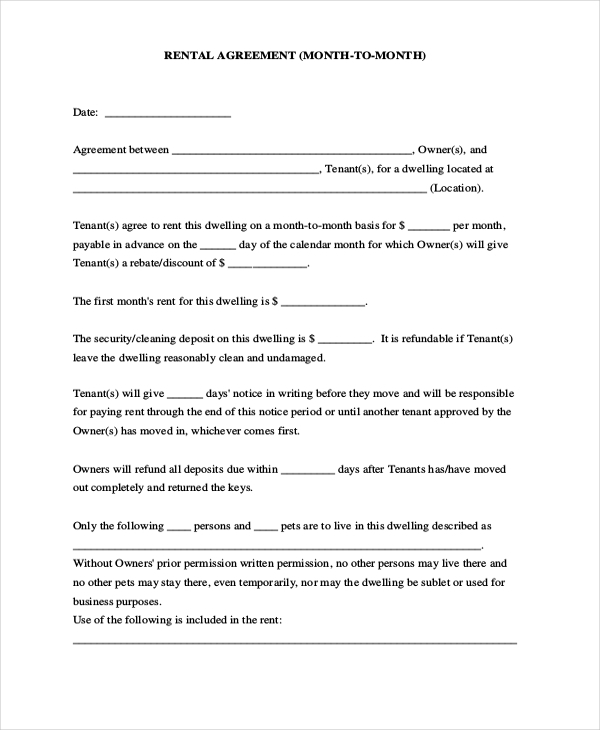 This basic rental agreement template is another option for you if you are looking to create a rental agreement for your rental deal with your tenant. This is available in printable format and can be customized easily to make required changes in the text. 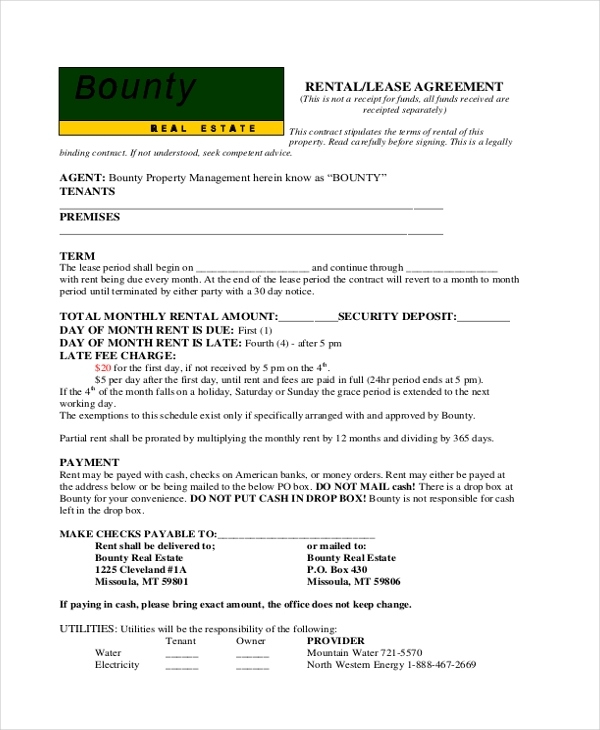 Here is a basic month-to-month rental agreement template that is applicable only for a period of one month. After one month it needs to reframe or renewed to continue the rental terms between tenant and the owner. Are you running a vacation rental business? Then you might need to frame a suitable basic lease agreement form to lay down rental terms between you and the tenants. 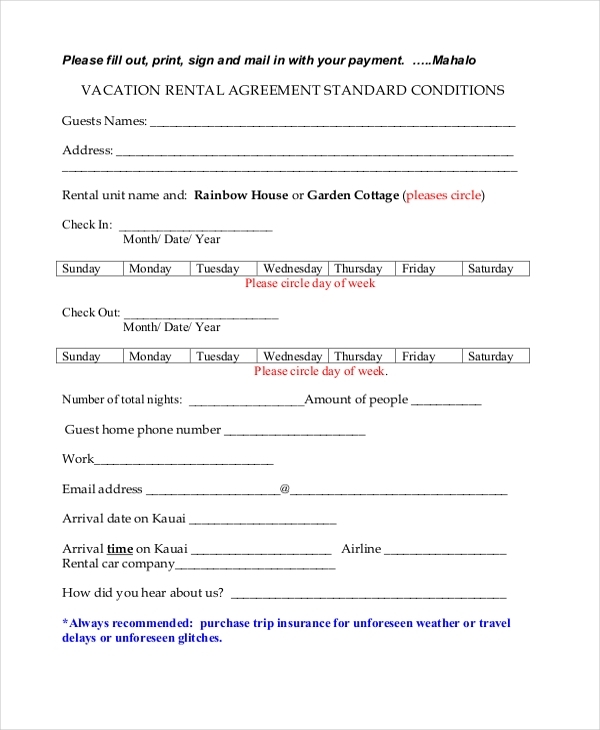 Check out this vacation rental agreement format and download to create one for yourself. Protect your legal rights as a vehicle owner if you often indulge in vehicle renting deals by framing a solid vehicle rental agreement. 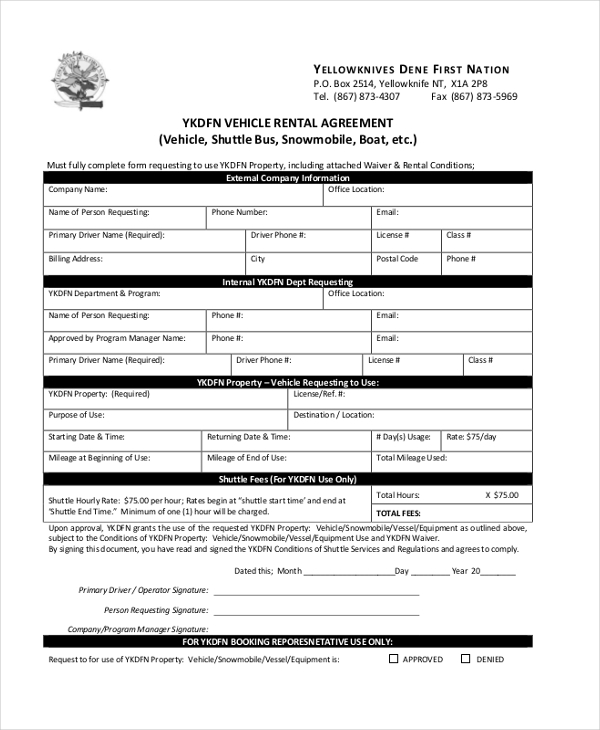 Get this basic vehicle rental agreement template downloaded and customize as per your needs. 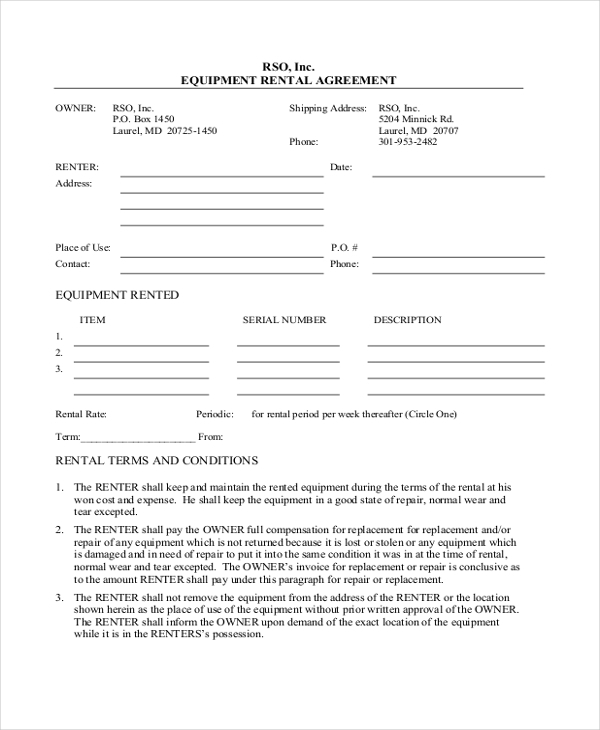 Get this basic equipment rental agreement downloaded for you and frame a legally strong equipment rental agreement for tour various equipment rental deals. Available in PDF format and can be customized easily. Want to rent your building? Create a legal building rental agreement for your rental deal with your tenant and protect your and your tenants’ rights effectively. Available in fully customizable format. What a Basic Rental Agreement Includes? A basic rental agreement covers several important points about the property along with various terms that make the tenant as well as the owner act to make the rental deal work smoother. Below are major points that a legal rental agreement includes. 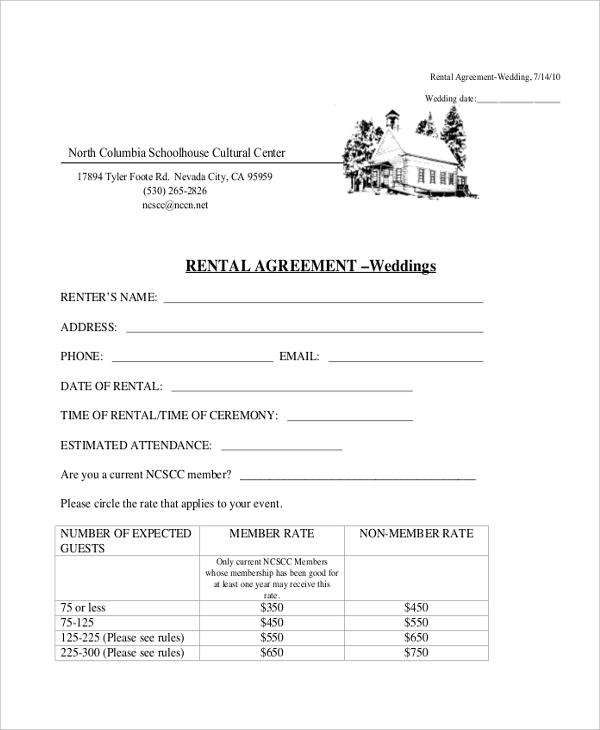 You may also see Rental Agreement Forms. Property Information– The detailed information of the rental property is listed in the beginning of the document. Terms of Rental– After the details of property various rental terms are listed according to which owner and tenant have to deal with each other. Conditions of Agreement Breaking – This section involves detailed elaboration of conditions which may cause a break in the rental deal. Payment – Describes the rental amount to be paid by the tenant. Security – Lists the amount to be deposited by the tenant as security. Why a Basic Rental Agreement Need? There are a countless number of reasons which make rental agreement crucial for a good owner-tenant relationship. A perfectly framed basic rental agreement can help avoid disputes as both the owner as well as the tenant has to act as per the clear terms set by the agreement. A good rental agreement helps the owner to deal with key property issues that otherwise might miss getting noticed. A basic rental agreement helps to protect the rights of both the tenant and the owner in the state of the law in the case of any disputes. If you too need to create a good rental agreement for an upcoming rental deal then get the appropriate one downloaded from the above-listed lease agreement forms. You can make desired changes in these samples easily and create highly reliable and solid legal binding agreement in minutes. Get downloaded now. 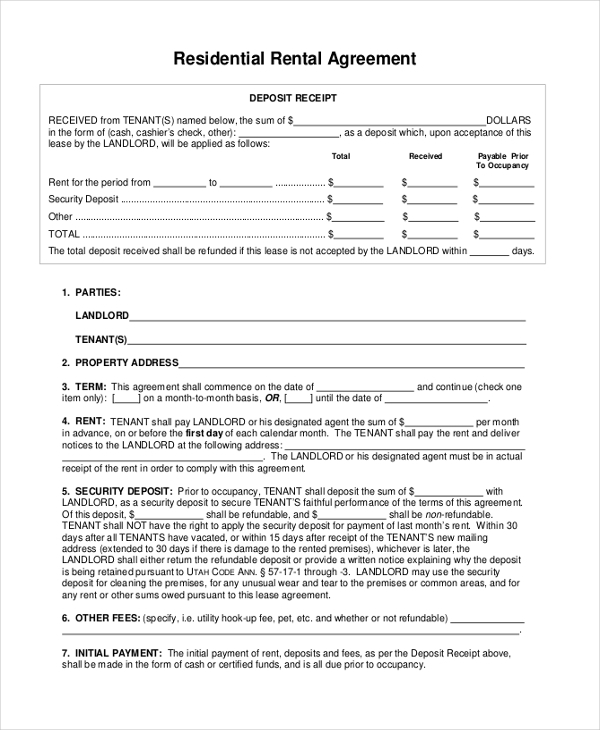 You can also see Lease Agreement Forms.